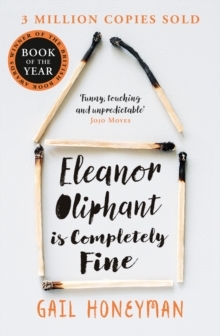 * Winner of the Costa First Novel Award * No.1 Sunday Times bestseller and No.1 New York Times bestseller * Soon to be a major motion picture produced by Reese Witherspoon `Funny, touching and unpredictable' Jojo Moyes Eleanor Oliphant has learned how to survive - but not how to live Eleanor Oliphant leads a simple life. She wears the same clothes to work every day, eats the same meal deal for lunch every day and buys the same two bottles of vodka to drink every weekend. 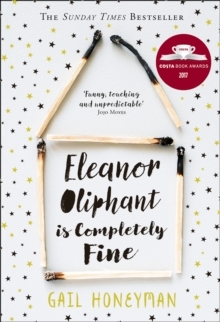 Eleanor Oliphant is happy. Nothing is missing from her carefully timetabled life. Except, sometimes, everything. 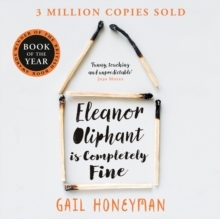 One simple act of kindness is about to shatter the walls Eleanor has built around herself. Now she must learn how to navigate the world that everyone else seems to take for granted - while searching for the courage to face the dark corners she's avoided all her life. Change can be good. Change can be bad. But surely any change is better than... fine? `Heartwrenching and wonderful' Nina Stibbe `Deft, compassionate and moving' Paula McLain `I adored it. 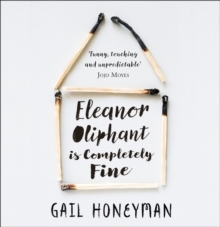 Skilled, perceptive, Eleanor's world will feel familiar to you from the very first page.